Magma Marine Kettle Charcoal Grill - Party Size 17"
Our time tested original charcoal "Marine Kettle" grill now has a hinged lid. It is meticulously crafted of 100% 18-9 mirror polished stainless steel for maximum corrosion resistance. Our rotating design allows you to determine which direction you would like the lid to open when grilling in windy conditions. You obtain perfect results through use of the adjustable height cooking grill and the variable temperature control draft door assembly. Our "Marine Kettle" design allows oven type baking to enhance the grill flavor while retaining the natural juices of the food. 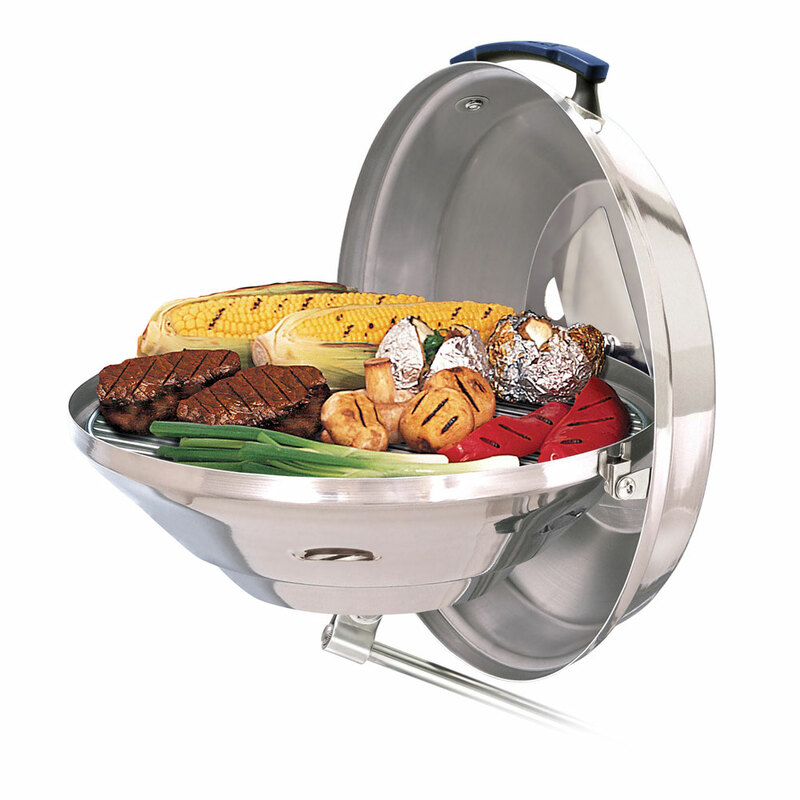 It will cook more food faster, on less grill area, than any other charcoal grill. Safety and efficiency are obtained by closing the draft door and extinguishing the coals for future use. Magma's large selection of mounting options and accessories allows you to customize your grill for your specific on-board or on-shore application. Magma Offers the Largest Selection of Mounting Options and Accessories, to customize your grill to your on-board or on-shore use.